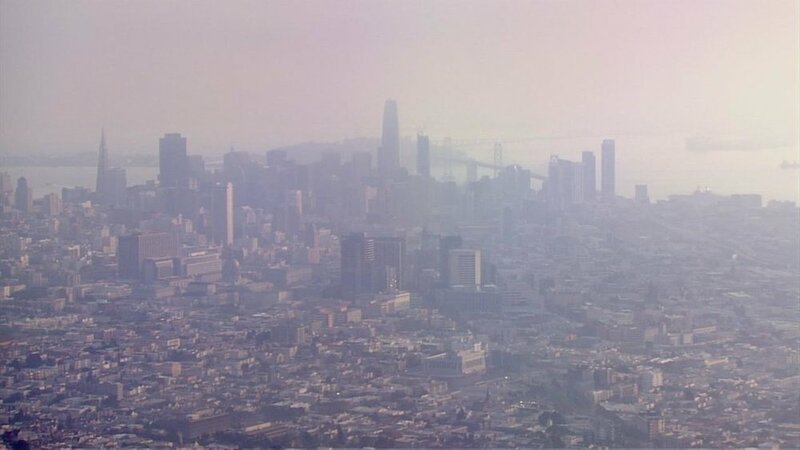 With the tragic wildfires in California, many people are wondering how to heal their bodies from the effects of the toxic air and smoke that filled our environment over the past few weeks. Feeling sluggish and fatigued, experiencing headaches, nausea, emotional imbalance, and throat and respiratory discomfort are all common symptoms you could experience for weeks to come. Here are a few recommendations to help support your health now that the rains have returned and the smoke is beginning to clear - with the intention to rebuild your lungs & immunity before cold and flu season. Drink LOTS of water. Smoke inhalation causes microscopic particles to get trapped in your lungs and move into your bloodstream. Water helps flush these particles from your system so aim to increase your water intake to 10-12 8-oz glasses of pure, filtered water every day. Increase hot liquid intake. When there is a decrease in air quality, it can cause the cilium in your lung cells to stop moving effectively to flush out irritants. Hot liquids like tea and soups can encourage this movement and promote mucous and saliva, which often contains high levels of contaminants that need to come out of your system. Consume antioxidant rich foods and beverages. To support increased detoxification and also protect from oxidative damage to organs, a clean, green diet is optimal right now. Increase your intake of leafy greens and cruciferous vegetables like arugula, broccoli, brussell sprouts, cabbage, cauliflower, chard, collard greens, turnip greens, wasabi, and watercress. See the delicious Detox Soup Recipe below for some menu ideas. You may want to consider doing a several day hand-crafted custom juice cleanse with our local Green Your Spirit delivery service (I use their juices and love them), or one of our effective Standard Process 14-28 day whole foods cleanses that include protein powder and supplements that will help detox and clear your system for a fresh start to the new year. Increase glutathione with foods, herbs and supplements. Glutathione in the body supports the production of cellular energy and can help protect your DNA from oxidative damage (a common side effect of smoke exposure). Many whole foods have been shown to naturally increase glutathione levels, including raw milk and eggs, liver, chickpeas, seaweeds, avocados, beets and asparagus. Herbs and spices promoting glutathione production include milk thistle, burdock, holy basil, rooibos, tumeric, curcumin, cinnamon, cardamon. Gathering Thyme herbalists in San Rafael have put together a fresh, delicious detox herbal tea we now have at our clinic for sale. Ginger is also a fabulous, natural detoxifier. Not only does it contain chemical compounds that help the lungs function, ginger improves blood circulation. Resveratrol found in foods such as grapes, blueberries, and cranberries and quercetin, a flavonoid found in plant foods such as apples and onions will decrease inflammation and increase glutathione and antioxidant enzymes. Also now is the time to up your Vitamin C intake through food and supplements to support your body’s elimination of all the environmental irritants and boost your immune system. Sweat and Circulate. Being stuck indoors for several weeks left some of us with few fun exercise options but I have been doing indoor spin classes at Pelo to actively sweat out the toxins and improve my circulation. I was so happy Thanksgiving provided a break from the rain to get outside on the mountain bike for a long pre-turkey ride! Increase the length of your aerobic workouts now that our air is clearing. Saunas, steam rooms, and epsom salt baths can also be beneficial to help you sweat and detoxify. Acupuncture. With a clean diet and exercise, I can also attribute my vitality during the fires to getting regular acupuncture. Chinese medicine was designed to bring your body into equilibrium. Acupuncture can activate the lungs and help the liver and gallbladder to detoxify while supporting the organs of elimination to function more efficiently. With regular acupuncture treatments you may also get deeper and more restful sleep, as this is the main way the body heals and detoxifies. Those of you who have come in for treatments over the past few weeks have received extra needles to help the liver and lungs discharge the smoke toxins. If you haven’t seen us in awhile, now is the time for a detox treatment or herbal consult to determine what supplements can support you. Instructions: Place all ingredients into a high speed blender and blend to a smooth and creamy texture. Serve heated or room temp.